Fitsteps is the result of a collaboration between ‘Strictly Come Dancing’s’ professional dancers Natalie Lowe and Ian Waite and Britain’s most successful swimmer Mark Foster. It is a mix of the graceful steps of Ballroom and the up tempo steps of the Latin dances to create a really fun, energetic and effective way to stay fit. It is the first time that classic Latin and Ballroom dances have been brought together with proven fitness techniques and principles to create not only a programme that can have extraordinarily wide appeal but one that also has the potential to make a real and lasting impact on the health of the nation. The free workshop will be at the Community Hall, Lindfield Primary School 11-12 on Sunday 20th September if you would like to come and have a go. A sensational way to keep children fit and healthy… it’s bundles of fun and educational too! This phenomenal new fitness idea is designed to be an energetic, motivational and inspiring activity for children, encouraging them to keep fit and healthy by learning fun and funky dance moves they see all around them and relate to the moves in a positive way. 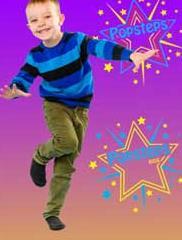 Popsteps is a fantastic mix of commercial dance styles, including jazz funk, and the combination of uplifting music and high-energy moves to create a brilliant environment. For more information on Becky’s classes visit her website www.popsteps.com. 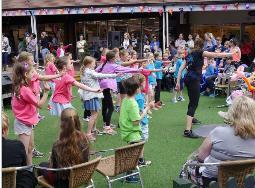 There will be a Popsteps demonstration outside of the Red Lion on Lindfield High Street on the Saturday followed by a free workshop 1-2 at the Community Hall, Lindfield Primary School on the Sunday if you would like to come and join in.